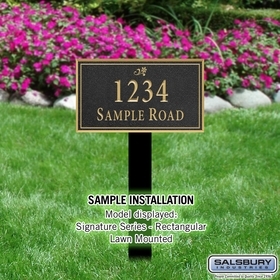 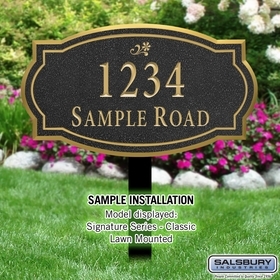 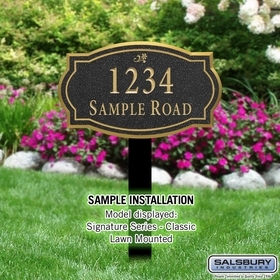 Surface mounted or lawn mounted solid acrylic signature plaques come in a wide variety of styles, finishes and options. 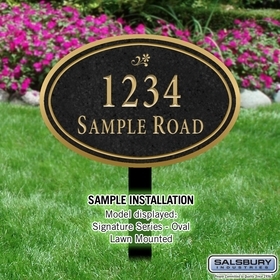 For your next project, shop with a company that specializes in home mailboxes, commercial mailboxes and address plaques. 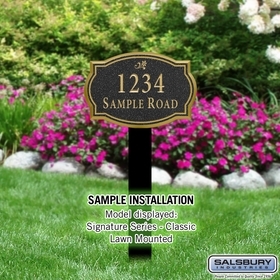 Feel free to contact us for any questions you may have. 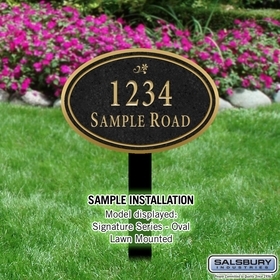 A knowledgeable staff is ready to help you find the lawn mounted plaque or solid acrylic plaque that's ideal for your requirements. 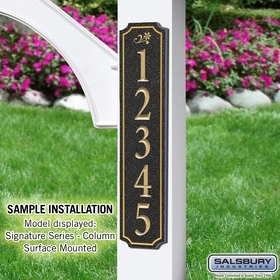 Question: Hello, my name is Camille. 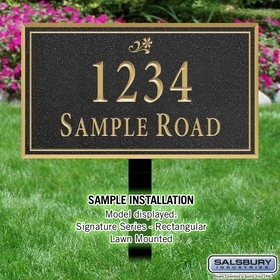 Can you add braille to your address plaques? 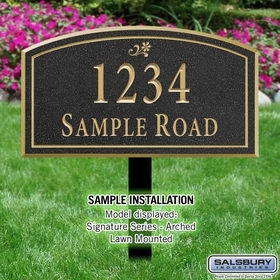 Answer: We do not currently have any plaque designs that allow for braille. 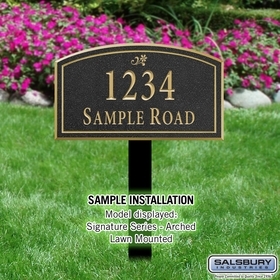 Question: What are the dimensions of the Rugged Cross Memorial Plaque? 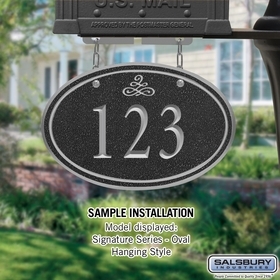 Answer: It measures 7 1/4 in H x 15 3/4 in W. Thank you.